As the worlds of travel for business and holiday increasingly collide, the trend towards 'bleisure' - add-on leisure to business trips - has become a steadfast addition for many travellers and corporations in recent years. For travellers, bleisure is a great cost-saving opportunity which allows them to tack on a few leisure days on their corporate trip. For companies, travel can be seen as an incentive that boosts employee productivity, wellness and motivation. A true win-win situation. A Global Business Travel Association (GBTA) study in 2017 which looked at the trend towards extending business travel for leisure revealed business travellers, who take bleisure trips, most typically extended them for a short period of time. While 90% did so from more than one day, only one-quarter (23%) did so for more than three days. On average, travellers typically extended their trips for three days. The most common reasons business travellers identified for taking bleisure trips were to visit a destination they liked to spend their time (43%) or visit a new destination they wanted to see (38%). Not far behind was the fact that it’s a less expensive way to enjoy a holiday (34%) or their need for time away from home and work (34%). Would you extend for leisure in Africa? While travel into some parts of Africa very firmly remains in the “business trip” category, travellers who decide to extend their business trip may be surprised at the leisure opportunities available on the continent. Here are a few of the more interesting experiences that will leave travellers feeling that bleisure in Africa can be a real pleasure. If your company is serious about doing business in Africa, chances are you’ll be hopping on a plane to Lagos very soon. The commercial capital of Nigeria, Lagos has grown into a thriving business hub and a popular destination for corporate travellers. 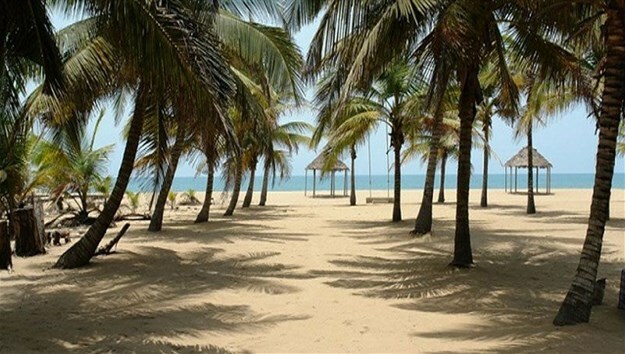 A day or three at the beach: Coconut beach, located in Badagry, West of Lagos, is the place to be. Spend the day or the weekend in this holiday town to soak up the calm Atlantic Ocean, and you’ll feel completely recharged. Outdoor fun: Omu Resort, located along the Lekki-epe road, offers a whole range of outdoor activities. Set in a rainforest environment, this amusement/animal park offers anything from karts and quad rides to the first wax museum in Africa, horse riding, archery and even a zoo with 40 animals from around Africa. One of the more recent additions to the park includes a water park, a spaceship, bungee jumping and a butterfly park. Dine out: Voted the best restaurant in Lagos on TripAdvisor for 2016, Izanagi Restaurant shouldn’t be missed. At this Japanese restaurant, everything is prepared on the spot. The ambience is relaxing with soft lighting and a clearly Asian vibe. Art Café also offers a great reprieve for weary business travellers. This lovely coffee shop with a fantastic laid-back ambience serves all types of coffees and teas. If you are not familiar with Accra you may be surprised to know that this West African city offers some of the continent’s best shopping, excellent nightlife and some fantastic dining options for corporate travellers. Go sightseeing: There are quite a lot of sightseeing opportunities for corporates who would like to explore the city during the day. The Centre For National Culture, better known simply as ‘The Arts Centre’, is definitely worth a visit. Travellers will find everything in this centre from woven Kente cloth, wooden sculptures, earrings and other fashion accessories, to the latest in African fashion and arts and crafts from all over Ghana. TGIF: While most people love Fridays, in Ghana, it is a true celebration. Corporates who are up for it will be able to have a lot of fun in this city. They can explore the city’s pubs and clubs, its Live Band Spots (Gold Coast) as well as the City Escape Hotel. Dine out: Those looking for a culinary experience will be treated to a large offer of options from continental restaurants to establishments serving local delicacies and the best way to end the night off is with a party at the Carbon Nightclub on top of the Coco Lounge. Forget what you thought you knew about Mauritius. Its capital, Port Louis, is actually quite a busy and dynamic business hub. It is all about culture: While Port Louis offers up its fair share of museums and religious sites, there is much more to the city to discover. Business travellers who want to get an inkling of what modern-day Port Louis is all about should take some time out to explore its colourful streets, visiting the variety of street markets, the main market in Port Louis as well as the restaurants at the harbour. Amazing views: At Fort Adelaide, which is also known as La Citadelle, visitors can enjoy panoramic views of Port Louis. The fort is quite impressive in itself, having been built between 1834 and 1840 and it is here visitors will admire fantastic views of the Champs de Mars, believed to be the oldest known racecourse in the southern Hemisphere. Wine and dine: With a variety of cultural influences, dining anywhere in Mauritius promises variety. At City Orient and Grand Ocean City, you will find some of the best Chinese cuisines while a quick lunch at Life Restaurant is also highly recommended. When business is done, travellers should really consider ‘after-work’ drinks at Tilambic or On the Rocks at Le Suffern in Caudan. Here they can unwind and take in the gorgeous surrounds of the marina at On the Rocks. Communication is key: Announce company-wide that you will be adding bleisure guidelines to the corporate travel policy and establish clear guidelines on what is considered leisure travel and processes for separating expenses. Travel insurance: Cover the grey area of travel insurance for the leisure portion of the trip by deciding if, and to what extent, the company will provide travel insurance. In the event that the company has a blanket travel insurance policy, you will have to decide and clarify whether leisure breakaways will be covered under that policy and whether the company or the employee will be responsible for the costs. Provide guidelines: Provide guidelines on where and how corporate travellers can book their additional leisure days and keep in mind that using the same travel-management company for both business and leisure will not only be convenient but also ensure greater control and oversight on total leisure and business travel spend. As Flight Centre Business Travel brand leader, Ryan Potgieter leads FCBT with passion and great guidance to ensure they deliver amazing travel experiences to every single customer.